When Liner Legal takes on your case, you become more than just our client; you become a part of our family. And we always look after our family. As Disability lawyers in Cleveland, Ohio and surrounding areas, we pledge to help our clients face their daily challenges brought on by the inability to work and do everything possible to help restore normalcy to their lives. With us, you are a client for life. At Liner Legal, we have attorneys that will meet with you in the comfort of your home because we know that not everyone has the ability to travel to our offices. From experience, we know that the biggest difference between a happy client and an unhappy client is strong communication with the office. We provide timely updates to our clients about their cases and always respond to your calls and e-mails within one business day. You will always be able to speak to someone who can answer questions you have about your case. As a Liner Legal client, we aren’t simply your attorneys but are here to help guide you to other resources in the community. We serve Cleveland, Akron, Canton, Sandusky, Youngstown, Warren, and other areas in Northeast Ohio. We are here for you even after your case decision. Based on our knowledge, experience, and careful evaluation of the evidence, we will advise you on the best way to proceed with your claim. You will always know our opinion regarding the options available to you. 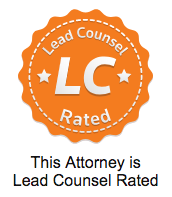 You can trust our honesty and integrity to help you through this process. All phone calls are returned within 24 business hours or less. When you call, you will always be speaking with someone who can answer your questions. Further, if we agree to take your case, you’ll have your attorney’s direct-dial cell phone number to call as needed. We understand that sometimes you need to talk to us right away, and we want to make ourselves available to you. The staff at Liner Legal has a level of experience that can only come from working on thousands of claims for injured and sick individuals. We will leverage that knowledge when pursuing your claim. Our legal staff stays aware of all changes in Ohio law and Social Security Disability law. 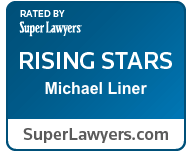 At Liner Legal, we know that a serious injury, illness, or disease can change your life. Pursuing a claim for damages requires determination, patience, as well as perseverance. When you become a client of Liner Legal, LLC, you become part of our extended family, and we will fight for your rights. We will always do whatever we can to help you in pursing a claim. It’s not always possible for our clients to meet at our offices. We understand. If needed, we’ll travel to where you are — and meet at a location that’s convenient for you. We can meet at your home, your place of employment, or another place that is convenient for you. Other attorneys and even some Social Security Administration employees refer their own friends and family to our law firm, confident that our extraordinary team of professionals will handle their claims. We are trusted by many community health organizations in Northeast Ohio that have chosen us to be a “preferred provider” of disability-related services. One thing you should know about Liner Legal: we are extremely selective about which cases we agree to take, and turn down as many clients as we take on. If we tell you that we can not accept your case, it is not a judgment of you as a person. 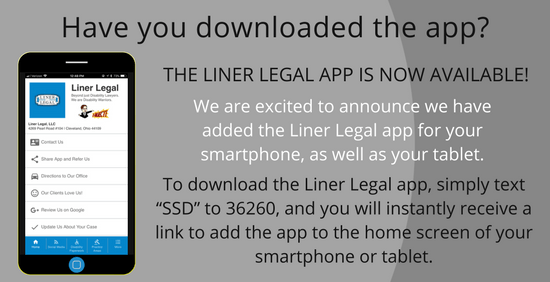 It is simply this: Liner Legal is a high-end firm and we choose to keep it that way. We have no desire to become like the national giants garnering negative publicity on television and in the newspapers who treat their clients like parts on an assembly line. To give our clients the best possible service and consistently deliver positive outcomes, we have chosen to work with only a limited number of clients. A serious injury, illness, or disease can change your life. And pursuing a claim for benefits requires determination, patience, and perseverance. As a client of ours, you become part of our extended family. We take pride in our ability to help our clients who are in need. Each person has the right to legal representation to assist in receiving Social Security disability benefits. Our office has one of the only lawyers in Ohio who is conversational in American Sign Language and can understand the needs of the Deaf community. For each case, we dedicate our knowledge and experience, which we’ve gained from the thousands of cases we’ve worked on. Our office can help from the beginning when you first apply for Social Security disability benefits, or later in your case. We can also assist with an appeal if you receive an initial denial, as well as represent you at administrative hearings. As a client of ours, we work efficiently to acquire needed medical records and medical expert opinions, help with paperwork questions you have and keep you up to date on the progress of your case.